Are you suffering from joint pain? Do you wake up every morning, tired and achy, wishing you could go back to bed, but knowing you’ll never get comfortable? Odd as it may sound, your bedding might be part of the problem. Traditional bedding that is made out of cotton, synthetic material, or feather down just lies on top of you, creating pressure points wherever your body meets the bedding. These pressure points weigh down on you throughout the night, aggravating your already tender joints. By the time you wake up in the morning, your body is sore and tired, wishing that it could just get one good night of sleep. The solution is to switch from tradition bedding to a bamboo bedding set. In contrast with traditional bedding, bamboo or silk bedding flows with your body, bending with each curve. This allows bedding to equally distribute itself across your body, eliminating any possible pressure points. Without the pressure points, your body is able to finally relax and you are able to sleep soundly with your new king size bamboo comforter. In addition, an bamboo bedding set is lighter than traditional bedding, reducing the overall weight placed on you throughout the night. Less weight equals less pain and less pains means a better night’s sleep! While an bamboo bedding set is more flexible and lighter than traditional bedding sets, these aren’t the only reasons why a king size bamboo comforter is a great idea. In addition to reducing joint problems, bamboo bedding is also exceptionally soft. In fact, bamboo is even softer than cotton. If you need a few more reasons on why you should switch to a bamboo bedding set, read our blog post: Ultimate Comfort - Why Organic Bamboo Sheets and Organic Comforters Are the Best. So, where do begin the search for cozy bedding on sale and find that king size bamboo comforter you’re looking for? At Cozy Earth, of course! Cozy Earth has the perfect bamboo bedding set to soothe your joint pain. We have the softest and highest quality bamboo bedding sets that will lightly drape over your body and let you finally sleep peacefully. We have two types of comforters you can choose from that will help relieve your joint pain. Our 1st comforter combines the benefits of both bamboo and silk by encasing 100% long-stand mulberry silk in a shell of 100% premium bamboo. 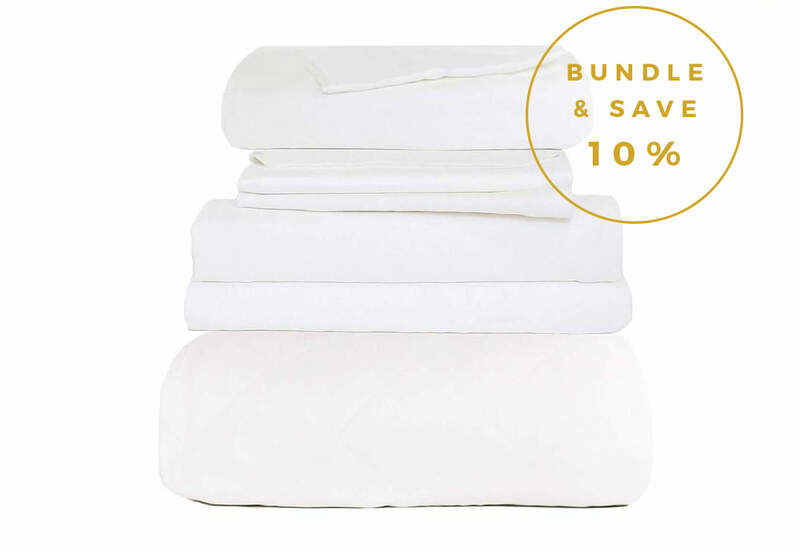 Our 2nd comforter, which is slightly lighter, is 100% premium bamboo inside and out. Both are lighter than traditionally bedding and will help to alleviate your joint pain. We also have bedding in a wide variety of sizes. Are you looking for an bamboo blanket, one that’s the perfect size for reading a book on the couch? What about a king size bamboo comforter? No matter what size bedding you need, our competitive prices mean you can find cozy bedding on sale every day of the year!